Guys, we're going to talk about Scott Jurek shoe! That is, you know those SJ? Practically the Cristiano Ronaldo of ultratrail. He runs, he is the race! Is one of the lucky few to have run with the tarahumara and Caballo Blanco in the history then told in the book Born to Run! There is something about Scott Jurek but to figure out what he did for this race man is really hard, even to imagine. Suffice it to say that won over and over again all the more tough u.s. ultramarathons. But one thing is certain: it has developed and continues to do so along with Brooks on top of the range product Trail proposed by American brand, the Cascadia arrive at precisely 10 version of a long history of success and only universal appreciation. 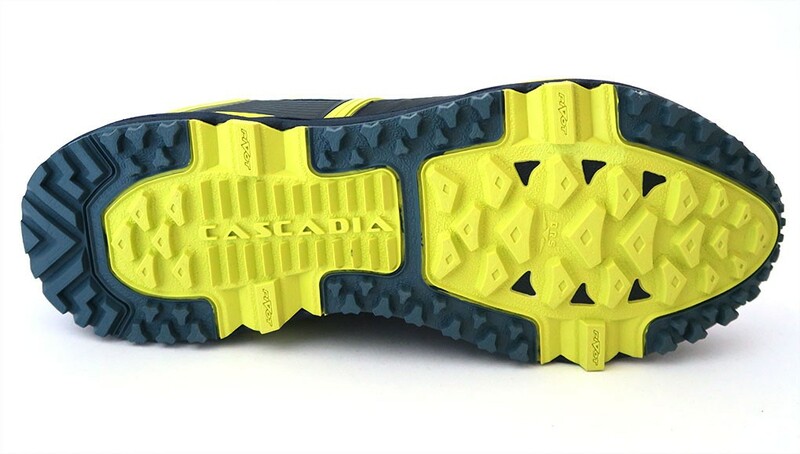 SJ is Seattle – first among the top ultra marathon coming from California and Seattle – training in the mountains near there that (coincidentally) named its Cascades, from which they take their name shoes we are discussing today. Brooks, with his proposal, remains faithful to a motto that will never tire not: "if one thing works so well, why change it?". And, in fact, an evolution of the shoe over the years have always been measured and carefully designed not to upset a shoe that is a clear point of reference for Trail Running. Just wear the version 10 you realize immediately that is a Brooks: soft and comfortable fit, wide plant ideal for a neutral runner, and an immediate good overall feeling. Then you start running and if you tried in your life some other version of the same shoe you feel like Sunday lunch from relatives, family and perfectly at ease! You know where to find the glasses, plates, cutlery and even the breadsticks! Our Euganean Hills and the Tuscan hills are two great gyms to test the Cascadia. Nearly all dirt, except rare pieces of asphalt, enhances off road nature of that shoe, right on hard bitumen, doesn't like being. 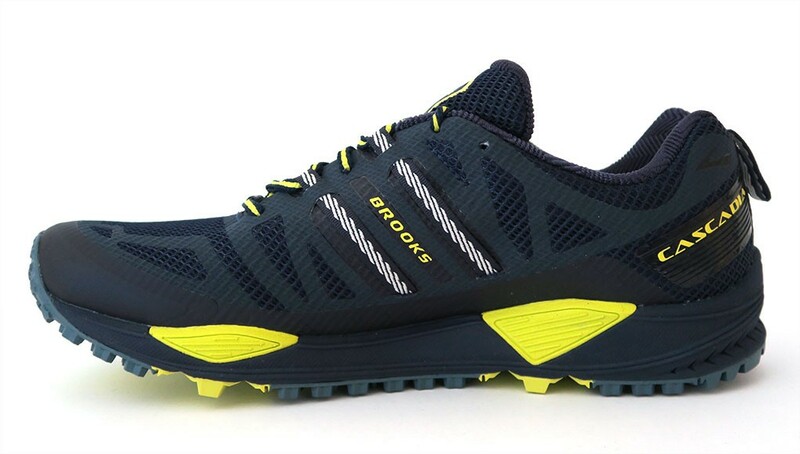 Uphill: phenomenal grip, high toe box very effective to overcome hardships and obstacles, beautiful general protection, perhaps a bit heavy and very structured, and then – to be puntugliosi – not perfect for fast runners. Downhill: exciting! Amazing new grips, put even more highlights from extreme conditions of stony and Sandy, excellent damping response in all areas of the plant, robustness and solidity are perfect to keep in line the foot and guide him to support safe and accurate. Easier support for "classic" bead one more forefoot technical downhill, but there may be. Top: good overall feeling, comfort and excellent protection, all pretty compact and protective, perhaps slightly heavy again and upgrade, better suited to a "classic" race which in a more natural and technique. The tip ben "bananata" upwards with a good sole flexibility make the perfect shoe on dirt to tackle all obstacles, even the stones and most bitter roots. And the grip of the sole is, as always, at the highest levels; though tessellation is slightly modified from previous versions. Sole and midsole offer a system of protection against bumps perfect, going to "cover" the foot where it must be better protected; rocks and pitfalls are just, no hassles. The foot rests on a system totally suitable to do what this shoe is born: protect! Two interesting news in my opinion are perceived with "listening ear" at the level of support and comfort. Foot inside the "cage", introduced since the previous release, stiffens the skeleton for support and holds more shoes in "location". The aim fully achieved is restricting settlement inward of the foot due to faulty bearings on uneven ground. 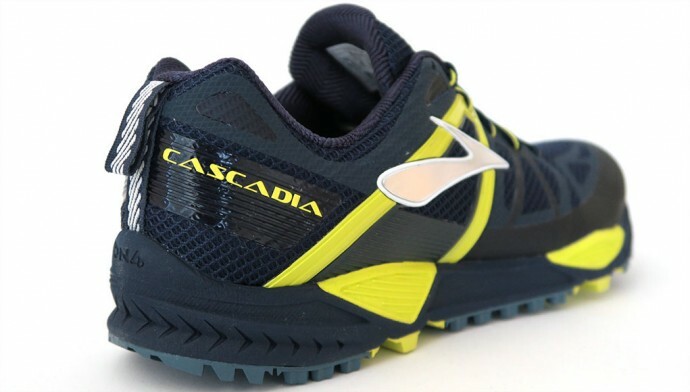 The sole, I remember always what I liked least of Cascadia (because "rigidona" good pair of trail shoes classic), now a whisker appears softer, less dry and actually one of the biggest news is right here. Classic Eva compound is enriched on the heel from technology already adopted towering footwear of American home, the BIOMoGo, which allows DNA cushioning and adaptive energy return. If strong peaks returns if it returns plan light peaks. A novelty that I personally appreciate a lot and that especially in long distance offers a pleasantly comfort level higher than previous versions. Perhaps I would have preferred the perception of this action more marked in the forefoot area. Also interesting is the mesh fabric shoe moisture leaving feet always dry and well ventilated. At the same time the tip is strong enough not to convey any (and usual) "fritters" stones and branches scattered here and there, but the inserts do not ruin the fit with unnecessary seams fastiodiose to handle. . The shoe weighs 320 g, extremely light, not a classic weight for a product from running Classic. It has a drop of 10 mm, not too addressed to a midfoot, but more conducive to a neutral heel race, even over long distances. It is ideal for every kind of runner, even for the more "heavy", and you can run all distances. By light and fast trail to longer runs and "pushes". A truly universal shoe for everyone. We say that in the world of off-road vehicles account for a Jeep Grand Cherokee, fully equipped and suitable for all terrains and in all drivers, even the less prepared. We can do dirt sitting comfortably on comfortable leather seats and turn on the air conditioner. A shoe that leaves no room for surprises, a proven formula and reliable. So what about? Comfort, durability, support and General pleasantness strength, grip, what more could you want from a shoe? The only fault of Cascadia is, in my opinion, to offer a formula so tested and functioning well, which is no longer able to amaze. Is loyal and ready to respond to all needs, without ever overdoing it and getting lost in technological excess or in strange philosophies, which maybe can be charming but surely are hard to master.